Whether you're celebrating an anniversary, Valentine's Day or another special occasion, finding the perfect date spot can be a challenge. Even in a city like Indianapolis, it can sometimes be a challenge to think outside of the box and do something different. Here are a few ideas to aid you in your quest. Be sure to also consider dining at Indy's top romantic restaurants when planning as well. The Indianapolis Museum of Art features one of the most famous sculptures in the city. The famous LOVE sculpture by Robert Indiana was ranked by USA Today as one of the top ten locations for marriage proposals. Enjoy the large indoor museum or stroll through the beautiful outdoor gardens. The newest addition to the museum includes the 100 Acres: The Virginia B. Fairbanks Art & Nature Park. The park includes artwork, situated throughout its wooded area and 35-acre lake. Best of all, admission to the Museum, Lilly House, and 100 acres is free. Turn up the heat with your partner as you learn how to salsa dance. Dance Indianapolis provides lessons for beginners to advanced skill levels. Before you know it, you'll be lighting up the dance floor with your own special moves. Well, maybe not. But you're sure to enjoy a romantic evening out with that someone special. They also offer Swing, Tango, Fox Trot, Samba, Waltz, Cha Cha, Mambo, Rumba, and more, if Salsa is not your style. There's something old-fashioned and romantic about gliding across the ice, holding hands with your loved one. Even if you aren't the steadiest on your feet, you'll find plenty of reasons to warm up together, snuggling over a mug of hot chocolate afterward. The Fuel Tank offers public ice skating at various times and days throughout the week. 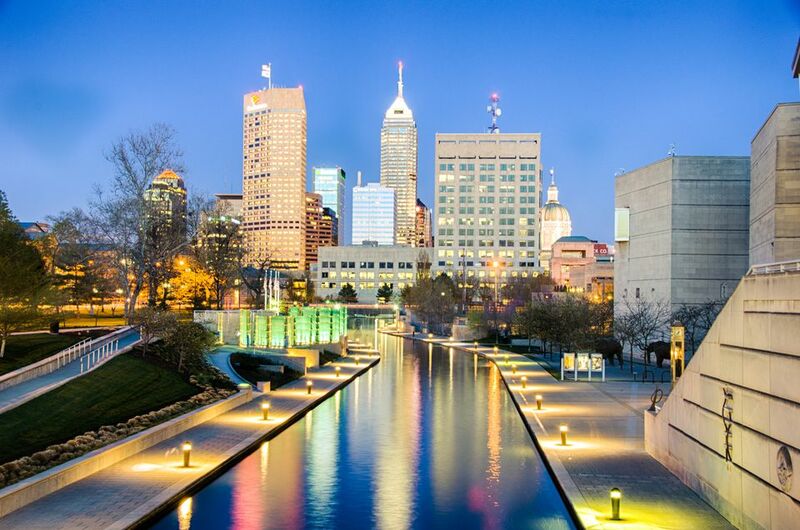 For an ultra-romantic twist to your date, take a memorable trip through downtown Indianapolis in a horse-drawn carriage. Beautiful during the holidays and lovely on a warm summer night, the carriage ride is almost always a perfect ending to a date. See the historic sites while cuddling in the back of a carriage. Perfect for special evenings such as Valentine's Day, proms, and other special events. If you and your date are wine enthusiasts, you may enjoy a tour of local wineries. Sample some of your favorite wines and tour the grounds, when possible. If you are interested in making a day of it, consider taking the Indy Wine Trail tour, tour the seven award-winning wineries located within minutes of downtown Indy. The wineries include Buck Creek Winery, Cedar Creek Winery, Chateau Thomas Winery, Easley Winery, Mallow Run Winery, New Day Meadery and Simmons Winery. Get creative on your date and take a painting class with that special someone. Wine and Canvas offers a unique evening out while honing your artistic abilities. Enjoy the class while sipping your favorite cocktails. The best part? When the date is over, you'll have a new piece of art for your place!